Keeping up a healthy and pest-free home remains as the top challenge to moms when it comes to home maintenance. Right now, there are millions of household products that promise the result of eradicating all of these pests. This includes our home enemies such as flies, rats, cockroaches, mouse, termites, ants and many more. The presence of the bug highly associates with the weather. It actually depends on how warm or cold the temperature is. Keeping away these pests at home is almost next to impossible. Be there the presence of chemicals, it is not always advisable to use them especially if there are kids or pets at home. Usage of synthetic chemicals might lead to different body complications, poisoning, and even death sometimes. Shoo-ing away these pests will never be the same again. Right just inside your home, there are actually some natural remedies to help you solve this problem. These are 100% safe and even more economical compared to ones we buy top shelf. Check as we share natural remedies to keep away pests at home. White vinegar is not just your kitchen seasoning! There are many actual usages of the vinegar from its acidic contents. It could be used to unclog sinks. Apart from that, it is proven that white vinegar could also be used as an anti-ant solution. You might notice that even if you already cleaned up the trail of ants leading to a food source, they still come to find their way. This is because they have natural antennas that detect chemical scents. 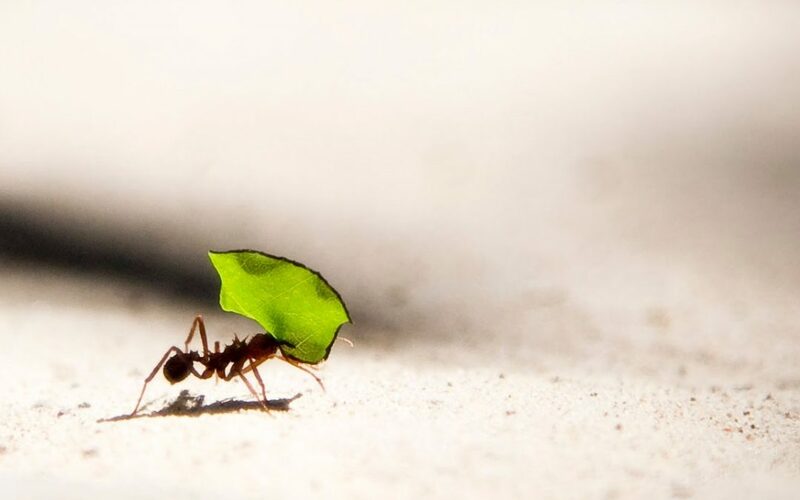 To distract these ants from coming, you can use a tablespoon of white vinegar diluted in a 250 ml water. You can use this to spray around the areas you want to protect from ants. You can also use this to destruct their homes and totally get rid of this home pest. Citrus fruits are very rich in ascorbic acid that produces a very strong smell that most insects and pests hate. Some of the citrus fruits which are very effective on shoo-ing pests are lemon, lime, oranges, and citronella. The peelings of the mentioned citrus fruits can act as a natural mosquito repellant. You can effectively use it by putting it into bowls and should be placed along house corners or plant pots. These bowls will emit a powerful smell that will drive away mosquitos. It will help you lessen the risk of mosquito-carried diseases such as dengue and h-fever. Apart from that it also acts as a very good deodorizing agent in the kitchen. If you want to make your own citrus peel insect repellant, all you have to do is to put all of the citrus peelings in a blender, add a cup of water and keep it in a spray bottle. This way, you will be able to get rid of harmful insect repellant chemicals that might cause brain and lung malfunctions among children. Baking soda serves a lot of very useful purposes. It is often known to be a good baking agent, but it is also a very good component when it comes to keeping away home pests. You can use the baking soda + vinegar to get rid of flies, rats, and cockroaches. All you have to do is to mix a tablespoon of baking soda in a 250 ml. white vinegar in a spray bottle. You can use this solution to clean table tops, sinks, cupboard, and house holes to keep it protected from cockroaches, flies, and rodents. To make it a more powerful agent to act as an all-in-one solution double up the baking soda measurement in a 250 ml. vinegar. Keeping the solution with this measurement, you are now able to poison rats by spraying a spare cup of food with the solution as a rat bait. Just keep your eyes on dead pests, the game could be messy. Herbs are the most effective way on how to help us keep away pests inside our homes. Growing these herbs on pots inside the house serves as a natural danger zone from insects and bugs. Growing mint, parsley, and oregano in the kitchen keeps fresh air, and filter the environment from bad bacteria. The strong smell of these herbs also keeps our kitchen away from flies and cockroaches. So this tells us that have these herbs placed on pots near the dining table to make sure that flies are not transferring bad microbes when they land into our table or specifically on our food. Lemongrass and citronella make a very good cockroach, mosquito and rat danger mechanism in the house. It is useful to grow or place planted herbs of this kind in house entrances. You can keep them on those places to serve as a hot spot to the mentioned home pest. All of these herbs have irritating smell among bugs. Cucumber emerged as one of the most refreshing fruits belonging from the watermelon family. The cucumber has a body rich in ions. These ions are very good at neutralizing any toxic chemical. It does not only make a refreshing drink and food but also acts like a very healthy enzyme to help our body. Talking about its home function, the cucumber could help in refreshing our kitchen as well. You can place cucumber slices on the sink to keep it away from cockroaches. The same function could be done on dishracks, spoon and fork holder and many other places where cockroaches can go and pester. You can also use the cucumber as an ant-blocking mechanism on places where ants love to create their homes at, and where they go. The neutral smell of the cucumber could confuse these pests to places where they could target. So once you leave some leftovers on the table top, you can put 2 or 3 slices of cucumber beside it to prevent ants to attack them. Keeping our home away from these problems might be hard for some. But its at least there are some of the ways we have shared to make it more convenient and safe. You can actually reimagine the way how you keep your home safe. Apart from keeping it away from harmful chemicals, you can also save a lot of money by just using natural chemicals you have at home. Follow all of these steps, and enjoy a pest-free household, away from worries.